Understanding evolving fatigue microstructure-properties-behavior relations is both challenging and needed in view of the time and length scales involved at both coupon and component levels. To reliably formulate quantitative descriptions of remaining useful life for advanced materials recent developments reported in the Integrated Computational Materials Engineering (ICME) framework including in situ/ex situ experimental observations and high-performance simulations, continuously provide valuable insights. This talk focuses on describing the role quantitative nondestructive evaluation (NDE) can play in this multidisciplinary effort to identify fundamental mechanisms that dominate fatigue life by presenting results obtained from a range of materials including polycrystalline alloys and fiber-reinforced composites. Emphasis is given on using multimodal NDE data to first identify intervals in time and regions at several length scales in which fatigue damage precursors could be found. Results from targeted observations of the evolution of such precursors are then used to formulate hypotheses on the fatigue behavior which are implemented in analytical and computational models. Challenges and future opportunities created by adopting this type of approach are also discussed. Dr. Antonios Kontsos is the P.C. Chou Endowed Assistant Professor in the Mechanical Engineering & Mechanics Department at Drexel University and he is currently the Director of the Theoretical and Applied Mechanics Group (TAMG). He received his undergraduate 5-year Diploma (2002) in Mechanical Engineering & Aeronautics from University of Patras (Greece), and his M.S (2005) and Ph.D. (2007) degrees in Mechanical Engineering & Materials Science from Rice University (Houston, TX). 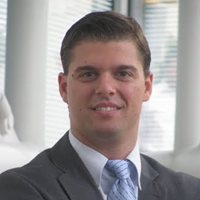 Before joining Drexel in Fall 2009, Dr. Kontsos held a post-doc position at the Center for Mechanics of Solids, Structures and Materials in the Aerospace Engineering & Engineering Mechanics Department at the University of Texas at Austin (Austin, TX). Dr. Kontsos is a member of the ASME, TMS, ASNT and Sigma Xi societies and he is serving as the Faculty Advisor of the ASME and Pi Tau Sigma chapters at Drexel University.